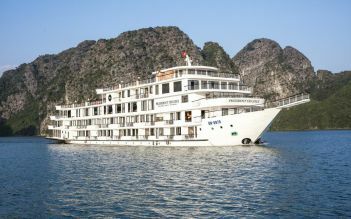 The five-star luxury cruise – Margaret Cruises provides a relaxing haven for utmost adventure-seeking travelers on this precious pearl of Halong Bay. 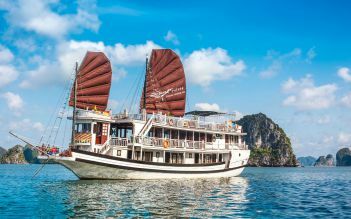 With Margaret Cruises, you not only witness the exceptional stunning beauty of Halong Bay but also enjoy a lot of exciting activities, such as kayaking, swimming, cave visiting, cooking class, especially relaxing Tai Chi. 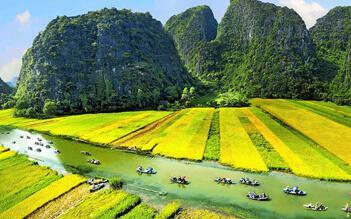 Just join us and discover the charms of Halong Bay – UNESCO World Heritage site. 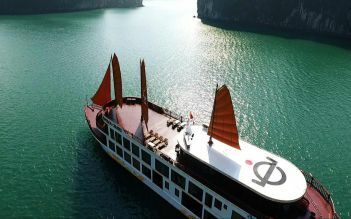 Ha Long Bay tour permit, entrance fees, and sightseeing fees. 17:30 Enjoy Sun Set party with Juices, Tea, Coffee and fruits on Margaret Sky Bar. 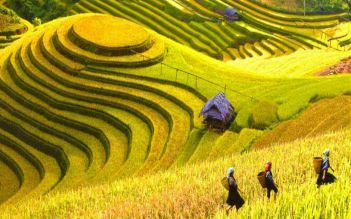 18:30 Join cooking demonstration: How to make Vietnamese spring rolls -traditional Vietnamese food. 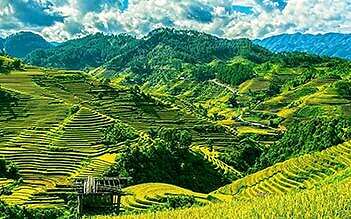 Going with Margaret Cruises was my highlight trip of our journey in Vietnam. We are a group of 3 people: my wife, my little son and me. The first impression is that Margaret is so big with 4 floors. It has such a beautiful spacious sundeck. Well rooms we book is Triple room but upgraded to Triple with Jaccuzzi. So amazing!!!  From the start, the cruise team are very friendly and always helpful with us. About food, OMG, I love food on this cruises. I love spring rolls very much. Also I was taught to make it in cooking class after tour in cave. This activity was very interesting! The thing I loved most was that my little son had a surprise birthday party. We did not tell them, but maybe they knew it based on our passports. It so so incredible. My son loved it so much and really come back to Margaret next time. I absolutely recommend Margret to our friends! Thank you so much Margaret Team! I and 3 of my friends spent our Christmas on Margaret cruise and we will never regret that we booked it. The guy from the cruise met us at the hotel to make sure we are ready. Then he escorted us to the limousine bus waiting outside. It was a very comfortable bus controlled by a carefully driver. 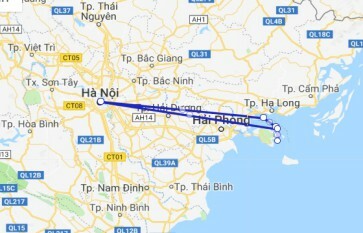 It only takes 2,5 hours to Halong bay because the bus go through the new highway Our first impression when we saw the cruise is its size and decoration. Big cruise decorated with modern classic style. Our cabins are on 2nd floor. We booked family connecting room. It is such a nice room with big window so we can see Halong bay anytime. Staffs in the cruise are very friendly and well-trained. They always serve us with a big smile and always go out of their way to make sure we enjoyed our stay. We did enjoy every activity like kayaking, cooking class, taichi class, cave visiting. All of them are perfect Especially in the evening, we joined the christmas party thrown by Margaret cruise. It was a lot of fun and we even received presents from the manager.